Snowsport England’s early season participation initiative, 30 Days of Snowsport (www.30daysofsnowsport.org.uk), is returning for its fourth year ahead of the Winter Olympic season, in what is an exciting time for snowsports in the UK. Returning to slopes up and down England from 2nd – 31st October 2017, 30 Days of Snowsport which is sponsored by Visit Andorra, aims to give people a taste of skiing and snowboarding – particularly those who have never tried snowsports before, as well as providing opportunities for everyone to hit the slopes and get excited about the upcoming Olympic season. 30 Days of Snowsport will celebrate the start of the winter season with dedicated events at slopes and facilities across the country. 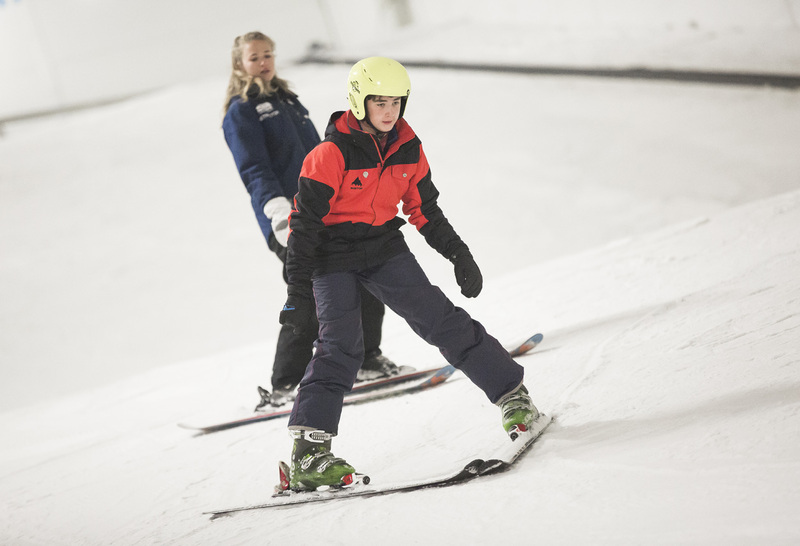 So far there are 45 sessions on offer across many of the major slopes including The Snow Centre in Hemel Hempstead, Snozone Castleford and Milton Keynes, the SnowDome in Tamworth, Silksworth Ski Slope in Sunderland, Bracknell Ski Centre and Ski Kidsgrove in Staffordshire. More clubs and slopes are expected to join the initiative, with many of them running free or discounted taster and recreational sessions during the 30 Days. At Silksworth Ski Slope in Sunderland, there are FREE roller ski and freestyle taster sessions on 22nd/23rd and 28th/ 29th October, Kidsgrove Ski Centre are putting on 30 minute free taster sessions on 14th October, at the SnowDome in Tamworth there are snowboarding taster sessions for £10 (from 8 years olds) on 14th/ 15th October and there is free coaching from Lions Ski Club at Snozone Castleford every Sunday of 30 Days of Snowsport. As well as taster sessions, 30 Days of Snowsport events compromise of open days, races, competitions and freestyle events. These sessions are fun, family-friendly and open to all ages, with many of them suitable for beginners and those looking to take up a new sport. For people who already ski or snowboard, there will be a chance to get the ski legs back or have a go at something different – whether that be freestyle, ski racing, rollerskiing or another discipline. 30 Days of Snowsport is sponsored by Visit Andorra. A popular destination for first time skiers. This is the second year of the partnership, part of an ongoing programme with Snowsport England encouraging more people to try snowsports. The initiative is just the start of a series of Snowsport England initiatives aimed at getting more people into skiing and snowboarding and ensuring the Winter Olympics is an opportunity not to be missed for snowsports in the UK. Snowsport England will be announcing plans of a Winter Olympics initiative later this month, as well as confirming the continuation of National Schools Snowsport Week in 2018. All these initiatives form part of Snowsport England’s overall participation campaign GO SKI GO BOARD (www.goskigoboard.org.uk). The GO SKI GO BOARD website is a hub of everything to do with getting into snowsports. If you want to get involved or become a partner in any of Snowsport England’s initiatives, contact [email protected].